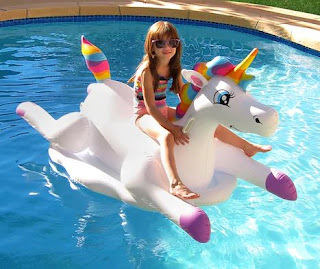 Check out this Blue Wave Cloud Rider Rainbow Unicorn Inflatable Ride-On Pool Float for $41.99 (Retail $63.99). Kohl's Charge Holder? Use code TULIPS30 to score an Extra 30% Off at checkout. Not a Kohl's Credit Card holder? Take 15% off with code FLOWER15 at checkout. PLUS get $10 Kohl's Cash with EVERY $50 you spend.